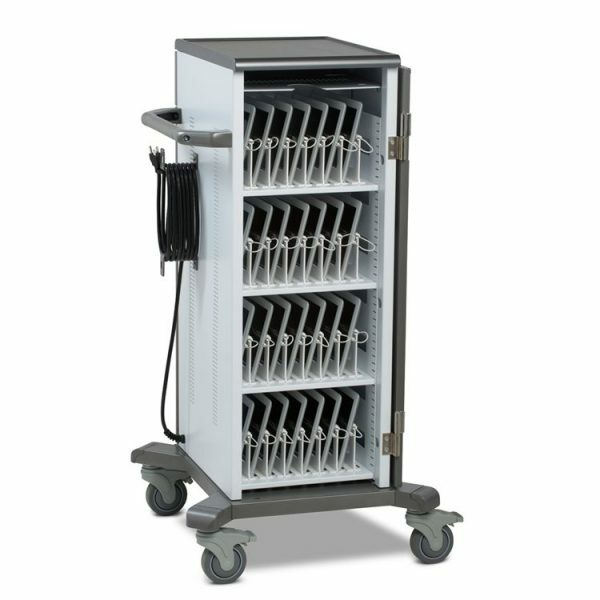 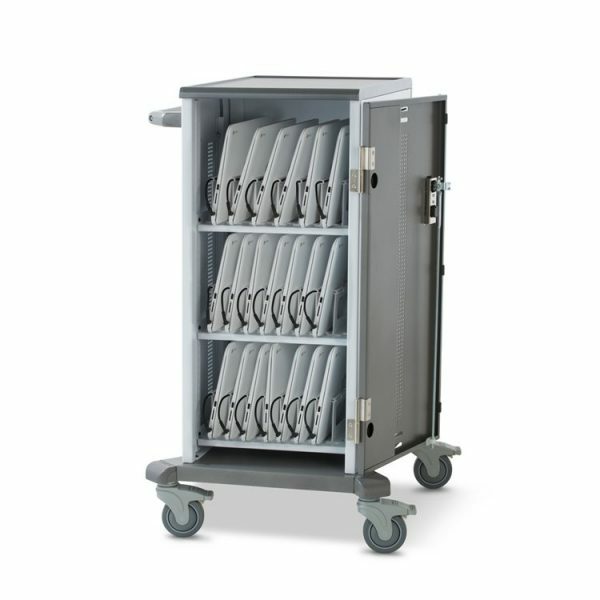 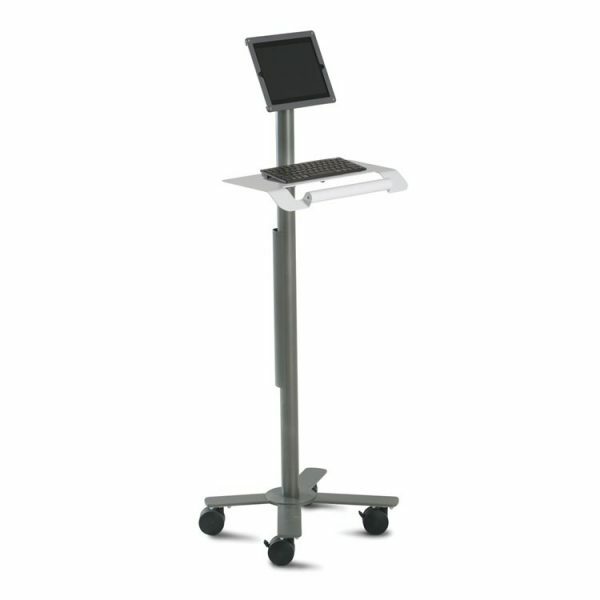 Ideal for use as nurse’s work station in medical facilities, warehouses, or other high traffic areas where computer access for multiple operators is needed, this space saving station has a comprehensive array of adjustment ideal for virtually any user. 22.87″w x 7.91″d x 34.65″h Weight: 27 Lbs. 9.5″w x 8.6″d x 7.3″h Weight: 7 Lbs. 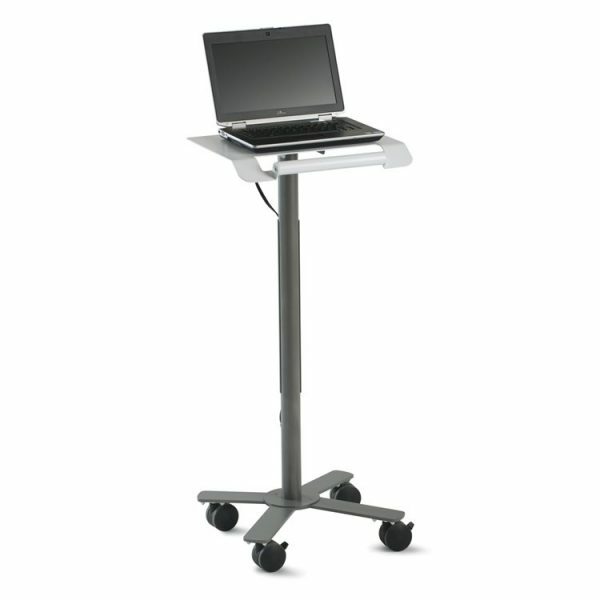 4.5″w x 16.25″d x 4.5″h Weight: 5 Lbs. 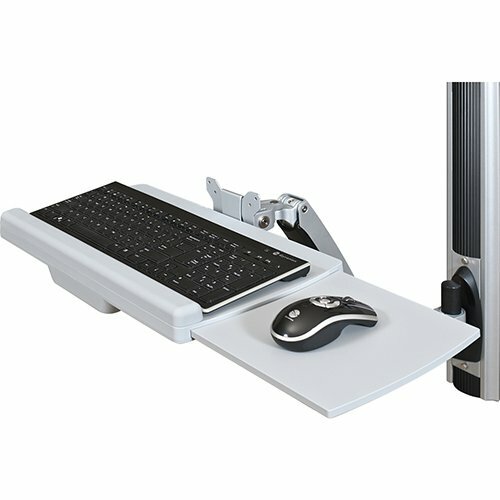 The dual-jointed adjustable keyboard arm features height adjustment, lateral adjustment, and tilts for ideal positioning. Keyboard tray measures 18.25″W x 10″D and includes a retractable mouse platform (8.5″W x 8.38″D) that can be used on the right or left side. 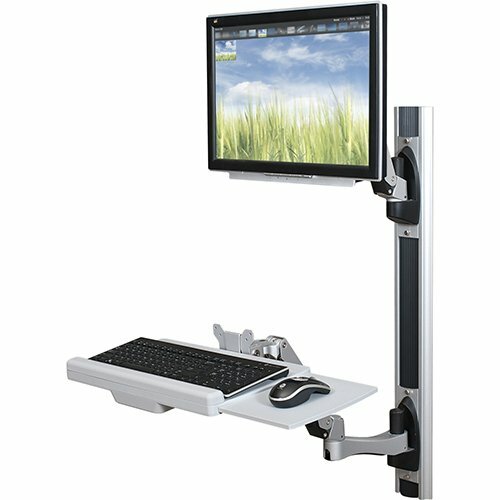 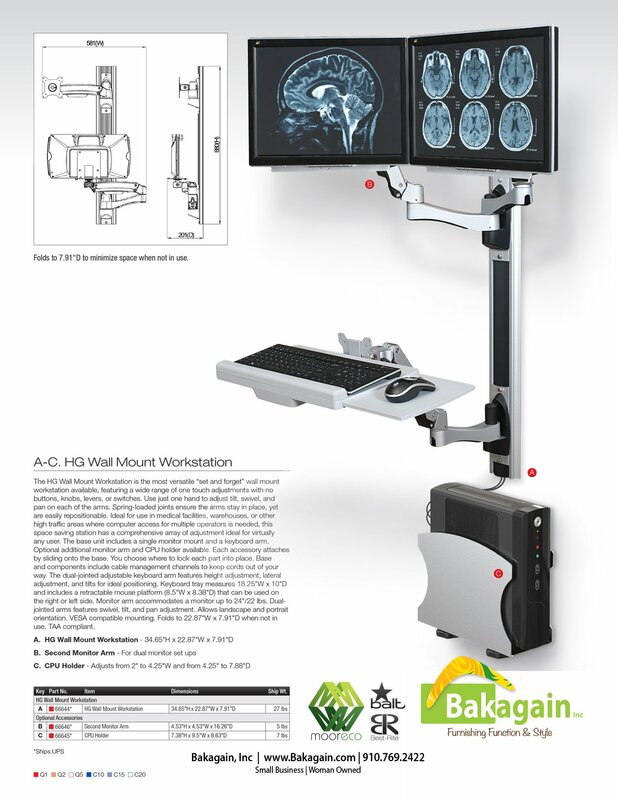 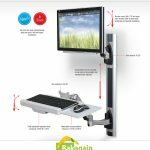 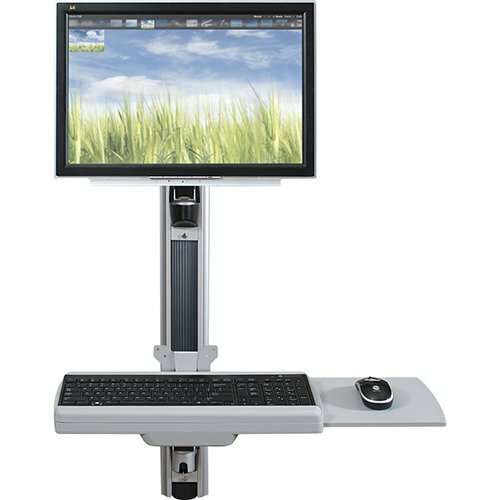 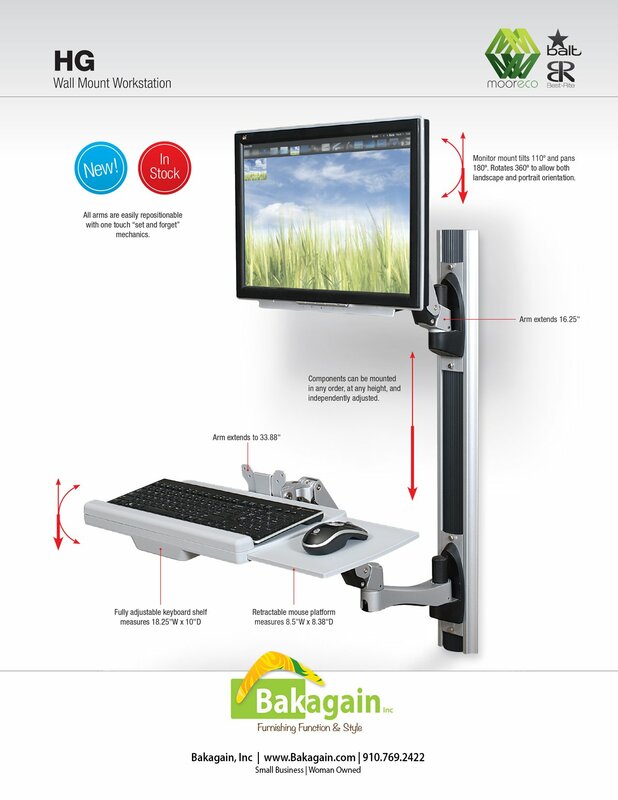 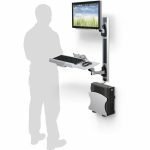 Monitor arm accommodates a monitor up to 24″/22 lbs. 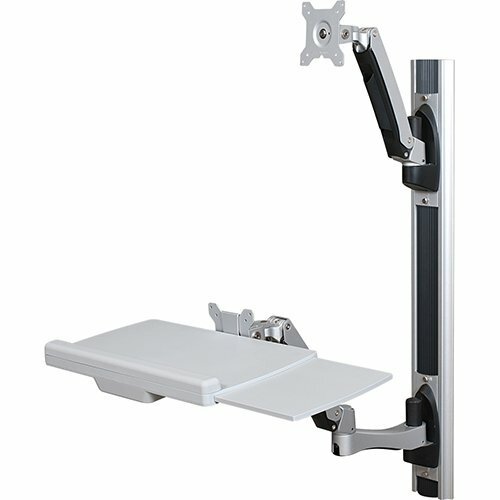 Dual-jointed arms features swivel, tilt, and pan adjustment. 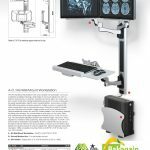 Allows landscape and portrait orientation. 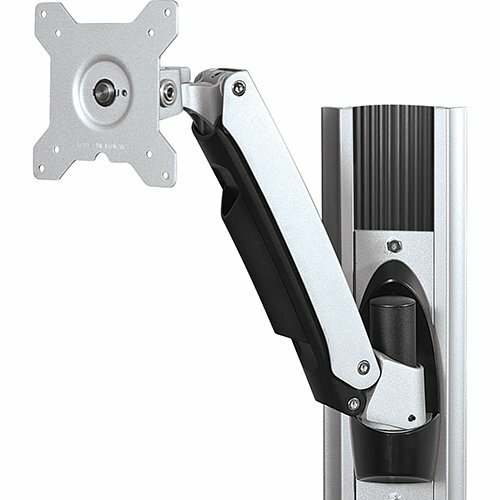 VESA compatible mounting. 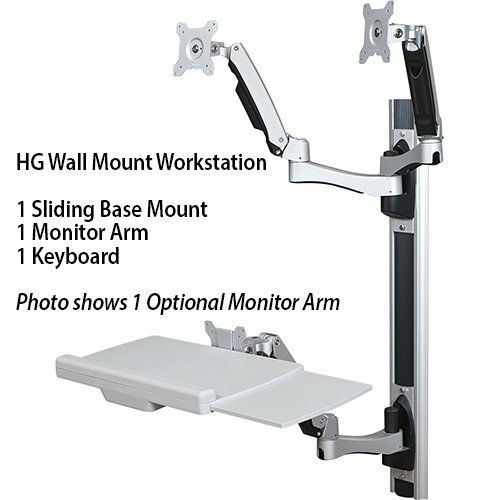 Optional dual monitor mount arm available. 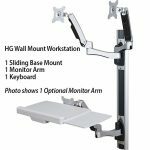 Adjustable Optional CPU holder accommodates CPUs from 2″ to 4.25″W and from 4.25″ to 7.88″D. 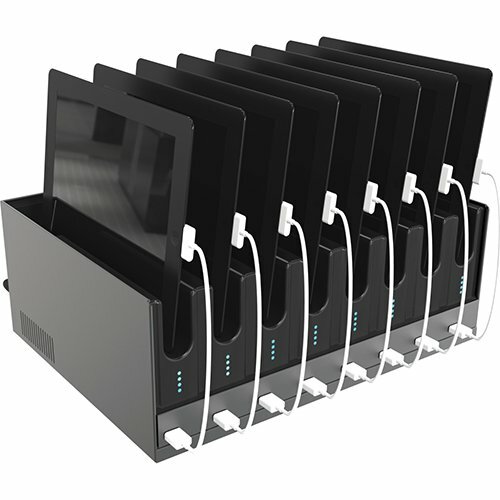 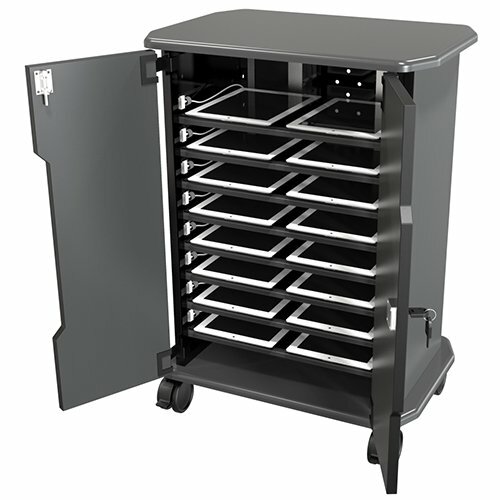 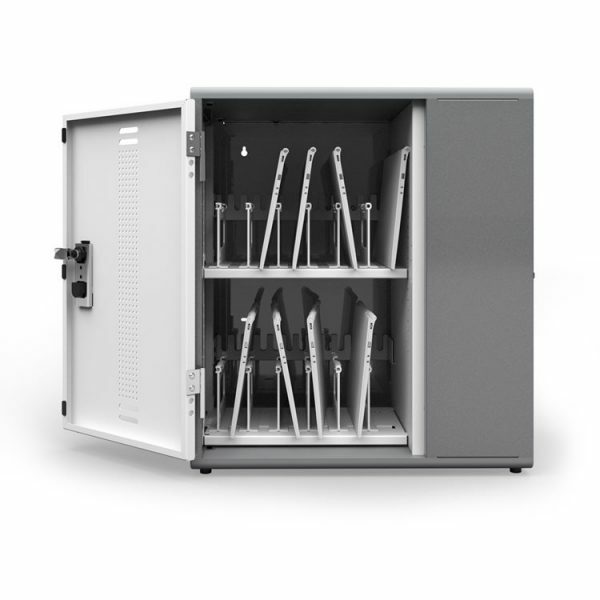 Folds to 22.87″W x 7.91″D when not in use.